Warm, sunny days aren’t the only thing we have to look forward to this spring. 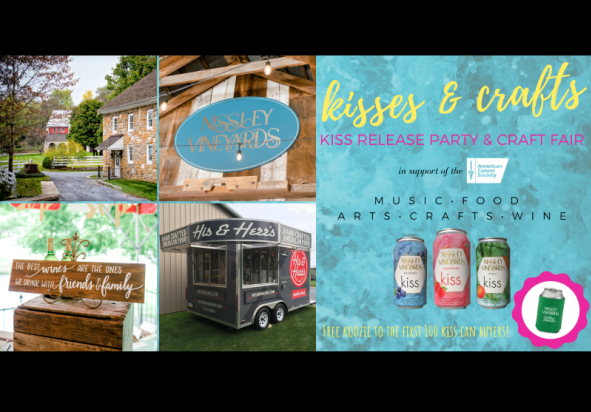 Our highly anticipated Kiss line of canned wines will be available in April. These deliciously sweet, bubbly treats are the perfect grab-and-go refreshments for any occasion and will be available in 3 delightful flavors—strawberry, peach, and blueberry. 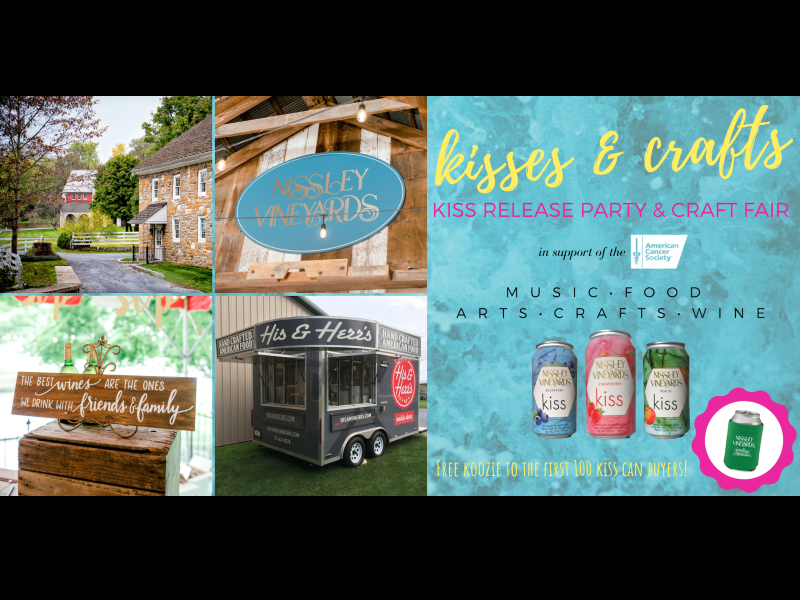 Help us celebrate the release of our Kiss cans on Saturday, April 27 as you shop from a collection of local craft vendors you can’t find at any retail store.